Never boring, your living space can wear white denim in summer and blue after Labor Day, crisp linen in spring. Now you can change your furniture like you change your pants, wash and wear without a care, how cool is that! No worries over spilt wine, just chill out and have a good time. All your living room ideas are possible with this exquisite piece. Designed for today’s lifestyle with just the right touch of tranquility and elegance, Sunset Trading’s slipcovered upholstery furniture boast feather down cushions and 8-way hand tied spring construction, features which our competitors charge upgrade fees for. 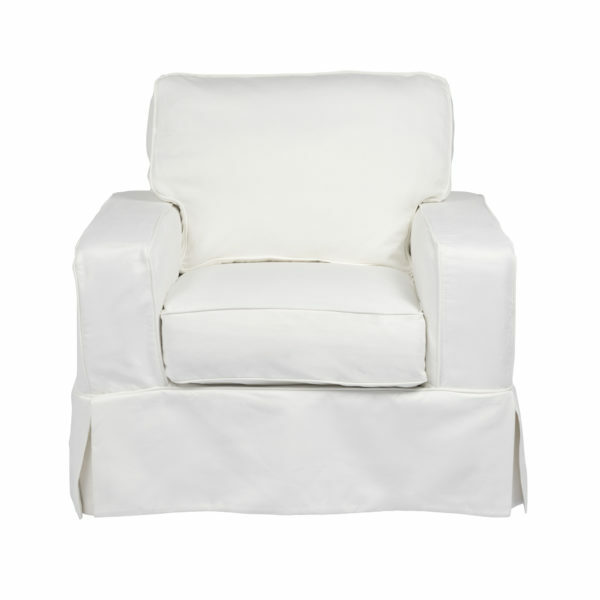 Enjoy a pet friendly home, slipcovers, with multiple fabric options, can be easily removed for cleaning. 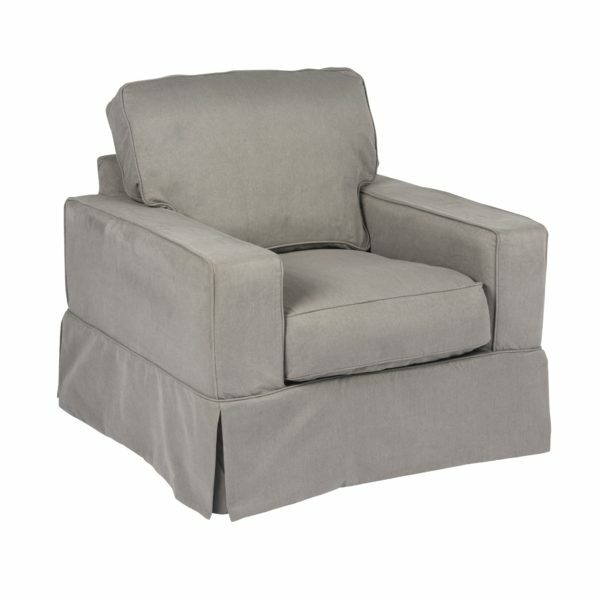 Be confident with your investment, knowing we are a solid company, located in the Northeast United States for over 25 years, and your replacement and additional slipcovers will be available anytime. It has never been easier to personalize and revive your living space, creating a haven of comfort and style your family and friends will be sure to enjoy. Sunset Trading Americana Slipcovered Furniture Collection includes your choice of sofa, loveseat, ottoman and club chairs.